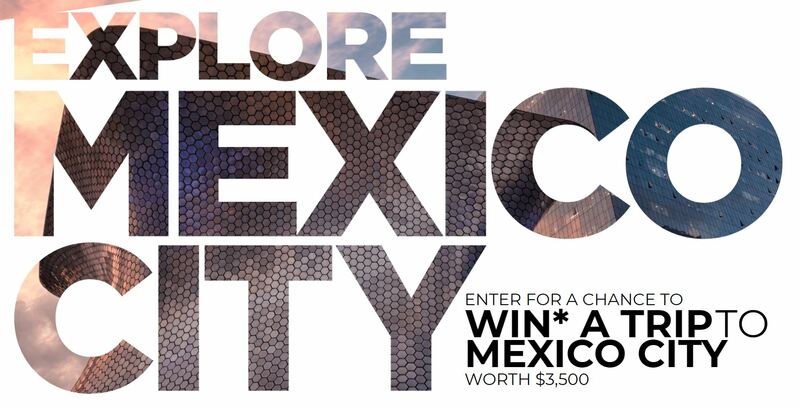 Enter the Cityline Explore Mexico City Contest for your chance to win a trip to Mexico City worth $3500. Contest is open to residents of Canada (excluding residents of Quebec) who have reached the age of majority in their province or territory of residence at the time of entry. Fill out the contest entry form with all the requested contact information. Agree to the contest rules and submit the form to get one entry (There is a limit of one entry per person/email address). Contest closes on March 15, 2018. Winner of the trip will be chosen from among all the elegible entries received. - Round-trip airfare for two from a major Canadian city. - Two nights’ accommodations in a premium Mexico City hotel including daily breakfast. - Round trip airport transfers to and from a hotel in Mexico City. - Grand Prize valued at CDN $3,500. The Cityline Explore Mexico City Contest begins on February 15, 2018 and ends on March 15, 2018. On March 29th, 2018, a random draw will be conducted from all the elegible entries received to select the winner of the trip to Mexico City.